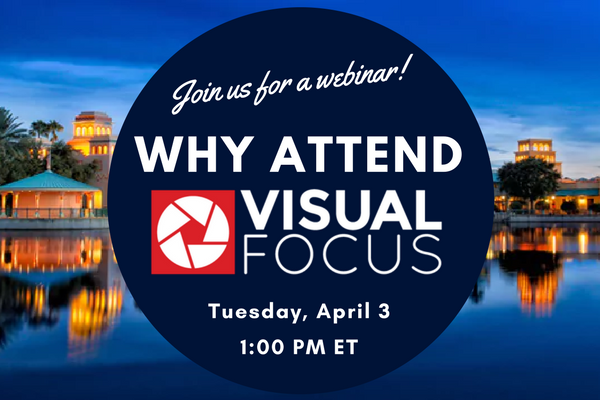 Join us for a webinar on Tuesday, April 3 at 1:00 PM to learn why you should attend VISUAL Focus! VISUAL Focus, the premier VISUAL-only conference will be held from October 21-24, 2018 at Disney's Coronado Springs Resort in Orlando, Florida. BizTech, Synergy Resources and Visual South are planning a great educational event that will offer plenty of networking opportunities and a wide variety of breakout sessions. You don’t want to miss this conference! Over 130 VISUAL education sessions for beginner and power users - including 30 new sessions. Need to train new users or learn more advanced skills? Bring a co-worker to learn more, and bring that knowledge back to your organization. Several in-depth, hands-on workshops - Two-hour sessions that take a deep dive into certain topics, with hands-on collaboration with VISUAL consultants. One-on-One consulting sessions - Want to talk to an expert about an issue you are looking to solve? Want to learn more about a presentation topic? Schedule a One-on-One with an expert! A three-night hotel stay at Disney's Coronado Springs Resort - located in Walt Disney World. Bring your family and take advantage of specially-priced tickets to Disney Theme Parks and a discounted hotel stay! Customer Networking Event including dinner, drinks and entertainment at the House of Blues Orlando located in the Disney Springs entertainment district. Networking Opportunities - Share experiences with hundreds of other VISUAL users and experts. Fun Run & Walk - Join others for a casual morning run/walk at the resort! Learn more.